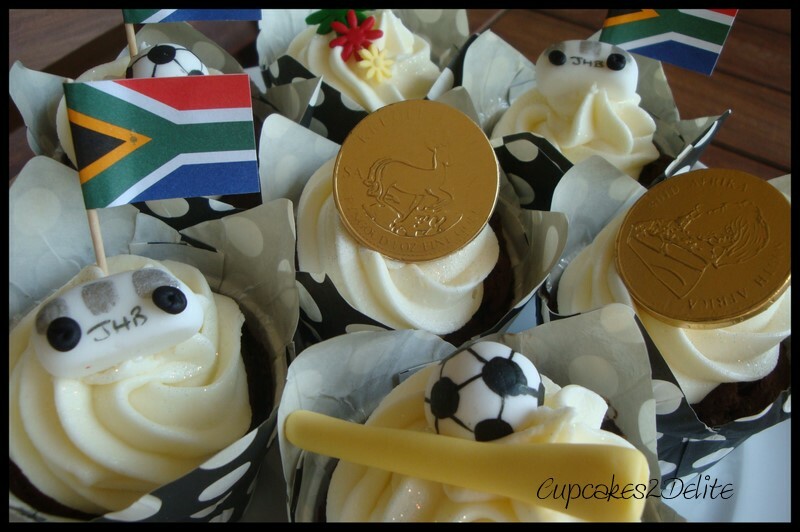 South Africans celebrated Freedom Day on Friday and I thought I would reblog my Only in South Africa cupcakes to mark this public holiday. While the leaves are turning golden and crispy and we are awakened by the typical early morning nip in the air it is difficult to believe that winter is around the corner this weekend as the weather has been perfectly South African – warm and gorgeously sunny! The holiday atmosphere matches the brightness of our flag this weekend so to all South Africans everywhere wishing you an amazing Freedom Day weekend! 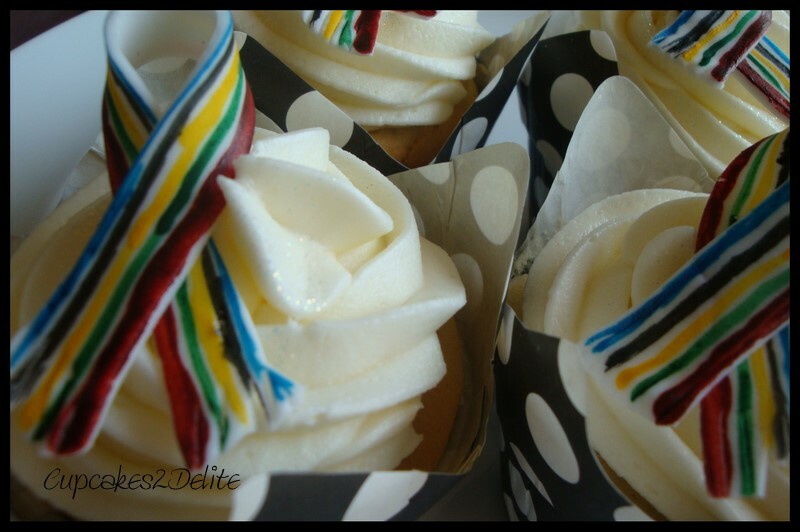 What a wonderful idea Lisa and love all the embelishments on your cupcakes. Bet they were delicious… enjoy your weekend. Thanks Lisa, love having such a long weekend!